"This is an excellent cookie to decorate." Cream the butter, cream cheese and sugar together until light and fluffy. Add the egg yolk and the vanilla. Stir in the flour. Gather the dough into a ball and chill overnight. On a lightly floured board, roll dough out to a thickness of 3/16 inch. Cut into desired shapes and place onto an ungreased baking sheet. Bake at 350 degrees F (175 degrees C) for 12 minutes or until edges are lightly browned. Let cool. 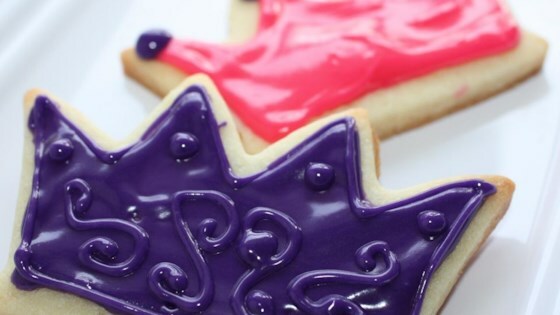 Leave the cookies plain or decorate with your favorite icing. An excellent cookie! The cream cheese adds wonderful flavor and makes my tried-and-true sugar cookie recipe seem bland in comparison. I felt that 12 mins. was too long to bake them, though.